The NFL stretches out the byes for its 32 teams over several weeks, so it’s somewhat unusual for two clubs to face each other with both coming out of the off week. That’s the case, however, for the Week 9 Monday matchup as the Tennessee Titans visit the Dallas Cowboys. The Titans vs Cowboys spread might be affected a little, thanks to the bye weeks. A couple of decades ago, this would have been an intense rivalry game because the Titans used to be the Houston Oilers, and Oilers-Cowboys for Texas bragging rights meant everything. Now, these clubs only play once every four years. Dallas is a 6-point favorite for these NFL odds, and will be our against the spread pick because the Cowboys are unbeaten at home in 2018. The total is a very low 41. Including the Oilers’ days, Dallas leads the series 8-6. 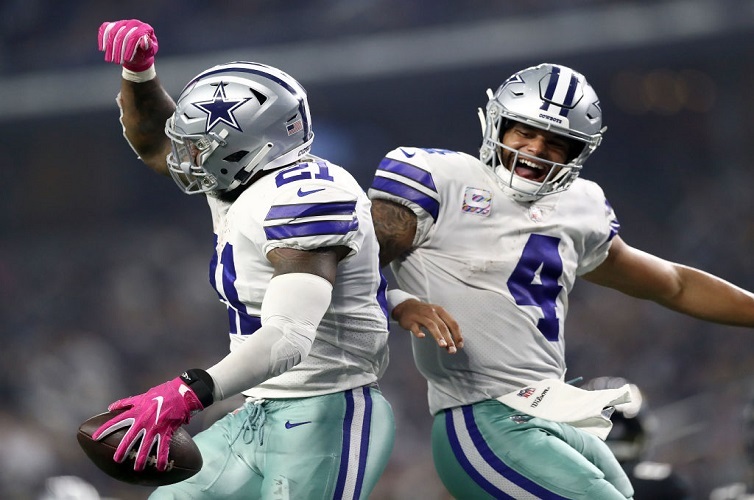 The Cowboys won the last meeting handily in Nashville early in the 2014 season, but just about no current key players on either side were around then. The Cowboys appear to have gotten better during the bye week because their weakest position by far was wide receiver. They may have solved that problem by landing Amari Cooper, a former No. 4 overall pick, from the Oakland Raiders, although it cost a 2019 first-round pick. If the Cowboys got the Cooper of his first two seasons (2015-16), this will be a good deal. If they got the Cooper of this year and last, then it’s going to be a bust. Dallas lost its best pass-catchers in the offseason in receiver Dez Bryant and future Hall of Fame tight end Jason Witten and simply didn’t come close to replacing them. QB Dak Prescott has had just four games passing for at least 200 yards this season as the Cowboys rank bottom five in the NFL in passing yardage. Adding Cooper can only open up the field for running back Ezekiel Elliott, one of the NFL’s best. The Titans, on a three-game losing streak, are 3-4 but could be 5-2 or just as easily 0-7. All but two of their games have gone down to the wire. That was the case in Week 7 in London against the Chargers as Tennessee scored a late touchdown to pull within 20-19. First-year coach Mike Vrabel opted for the 2-point try and the win, but it failed. Back in Week 4, Vrabel made a similar gutsy called and it paid off with an overtime touchdown and victory against the Eagles. The guy isn’t boring. This is another team that could have used some offensive help before the trade deadline as the Titans have yet to top 20 points in regulation – they hit 26 in that OT game only on the game-winning touchdown. They are averaging just 15.1 points per game. The defense is doing its part, allowing 18.1 points per game. Some books opened the Titans vs Cowboys spread as low as Dallas at -4. The total has dropped from 42. The Cowboys have covered 10 of their past 13 out of a bye. The Titans have covered only two of their past 11 in November. Dallas is 9-4-1 ATS in its past 13 vs. teams with a losing record.